José Moreno Benavente was born in Granada, Spain, on 7 July 1905. His father Manuel Moreno, who was a watchmaker and engraver, will undoubtedly have been the original inspiration for José. He went to the School of Arts and Crafts, and graduated in History of Art and Design. At this school he started his apprenticeship as an engraver. Subsequently Moreno went to the National School of Graphic Arts in Madrid where he specialised further in engraving. There, he was the pupil of José Luis Sánchez Toda, one of the best engravers of his time. After his training in Madrid, Moreno went to Paris where he received further training for two more years, at the Institut de Gravure. 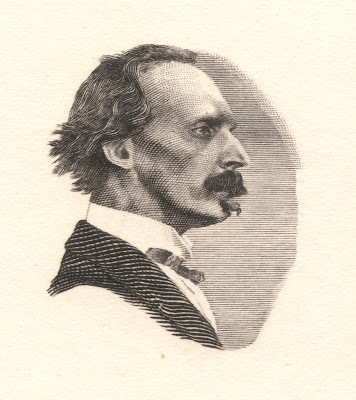 Still on the move, Moreno then went to London where he worked for a while at Waterlow & Sons, under the professional tutelage of the engraver John Augustus Charles Harrison. It was at Waterlow that Moreno engraved his first philatelic product: the portrait of Bolivar on the 5 sucres value of the 1930 Independence Centenary set of Ecuador. In 1931, José Moreno Benavente moved to Buenos Aires in Argentina where he met Joaquín Marcó, Head of the then newly founded 'Talleres de Especies Valoradas', which would later become the Chilean Mint 'Casa de Monedas de Chile'. Marcó immediately saw the artistic potential of Moreno and hired him at the tender age of 26. Moreno started working for the Casa de Moneda on 16 May 1931. It would be the start of a great career of 44 years which helped raise the prestige of the printing firm to great heights. 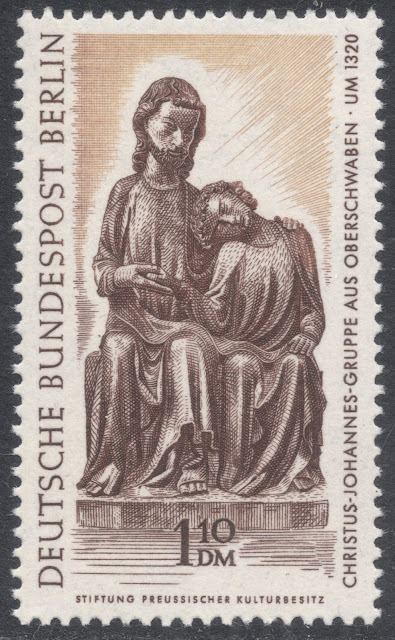 So much so that when the Belgian magazine L’Illustré ran a feature on the wonders of engraving in 1955, it highlighted three stamps from around the world, two of which were engraved by José Moreno Benavente. 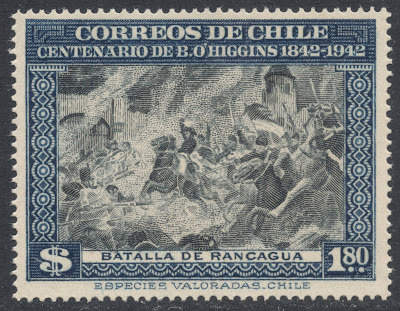 The first one was one of the values from the 1945 issue marking the death centenary of Bernardo O'Higgins, which depicted the Battle of Rancagua. 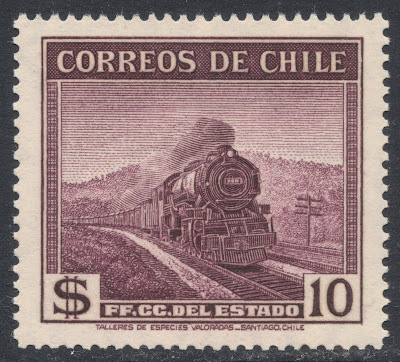 The second stamp was a representation of the painting ‘Crossing the Andes’, part of a 1951 set marking the death centenary of General San Martin. 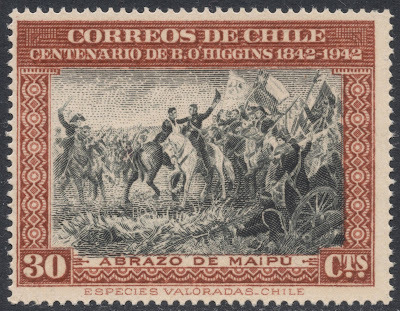 Historical scenes from Chile feature a lot in Moreno’s work, both on his stamps and on his banknotes. Moreno interpreted several famous scenes, such as the ‘Hug of Maipu’ and the aforementioned Battle of Rancagua, a number of times, making it possible to study the engraver’s development through time. 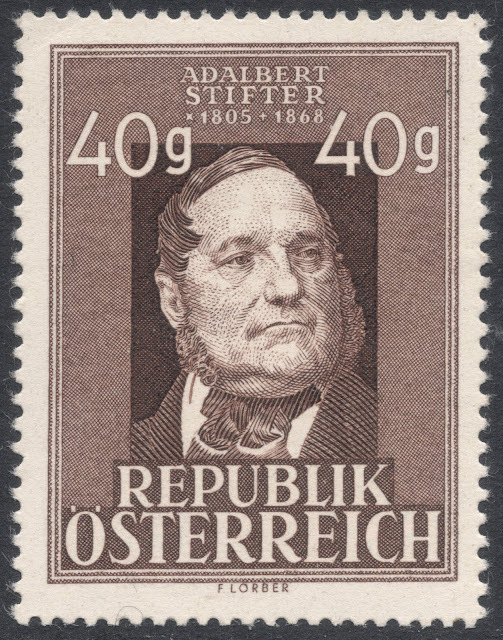 The same can be done with a number of famous portraits, which again can be found on both stamps and banknotes and have been re-interpreted throughout the years. 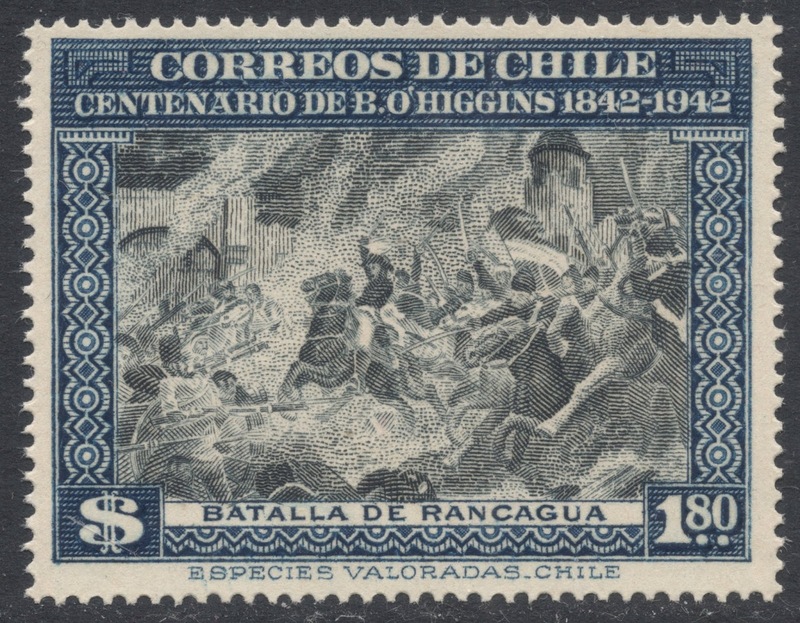 Prime examples of those are the portraiture of Bernardo O’Higgins and Arturo Prat. Every ten years, the Casa de Moneda would issue a book called ‘Memoria’, highlighting the quality and artistic value of their products. 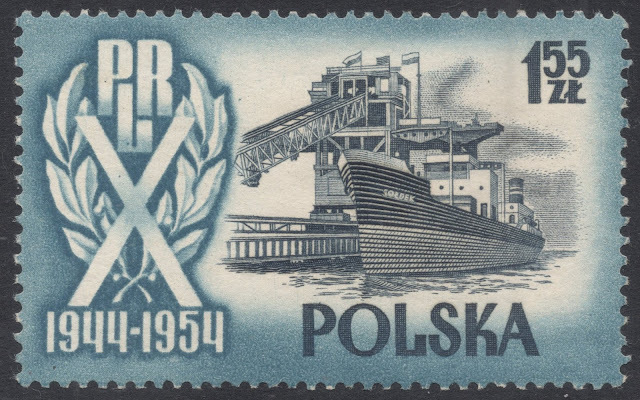 Being especially proud of their engraved stamps, they always included special sheets in these books with reprints of those stamps, but also prints of unadopted die essays and specially commissioned portraits based on stamp designs. The 1974 edition, especially is of interest with regard to Moreno, as all sheets included are the product of his burin. 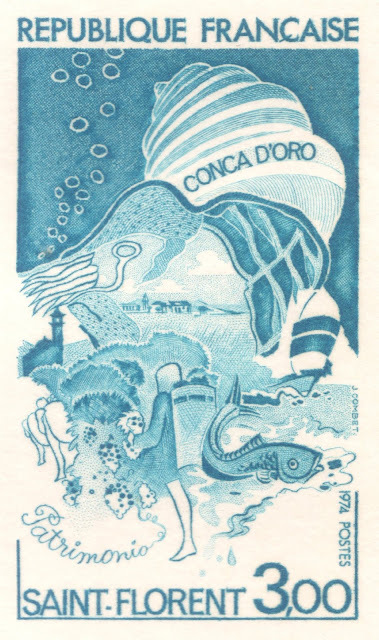 Moreno’s work would also often be used for other special souvenir items, such as the Casa de Moneda’s own New Year’s greeting cards, or special sheetlets promoting their stamp issues. 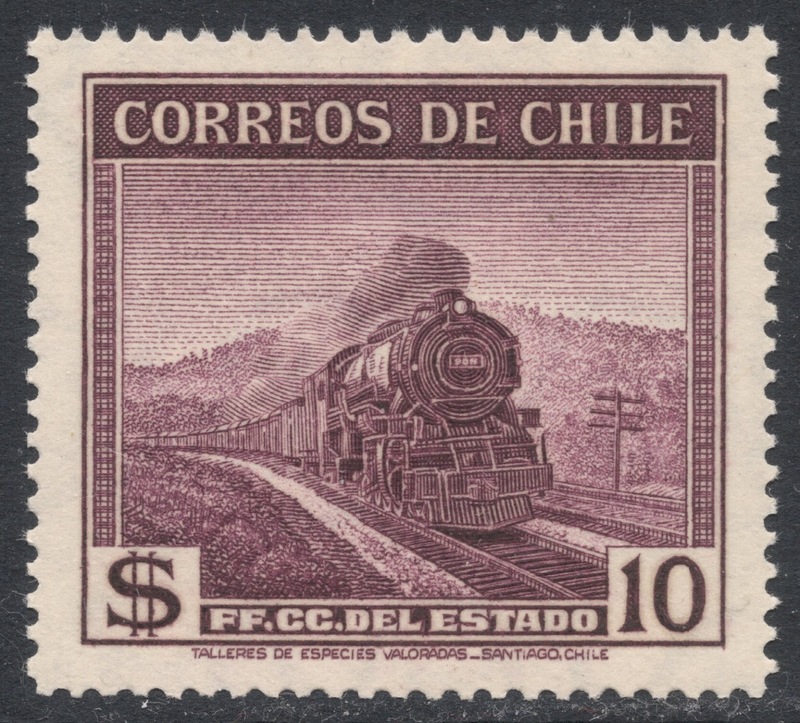 The Philatelic Society of Chile, too, was often granted permission to use the artwork of Moreno for their souvenir sheets. 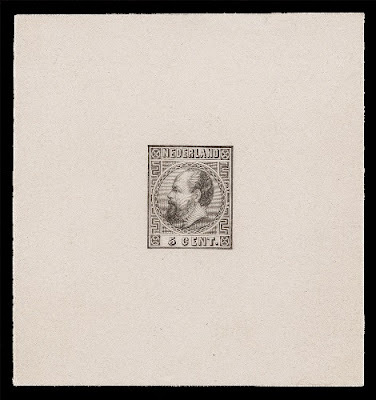 José Moreno Benavente also got the chance to engrave a number of stamps for Costa Rica. This came about through the intermediary actions of Alvaro Bonilla Lara, a member of the government in Costa Rica. 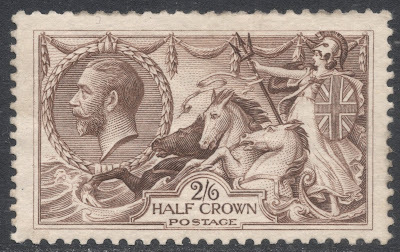 He was also a philatelist, specialising in Chile, and he managed to arrange that a number of Costa Rica stamp issues were printed in Chile. All of these were engraved by Moreno. The first one was the 1945 issue to mark the birth centenary of Mauro Fernández. 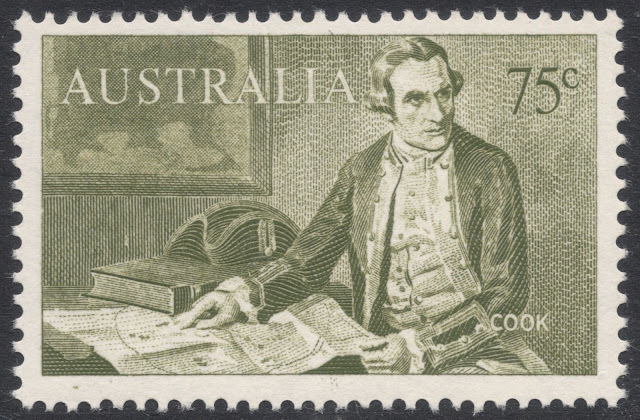 This was followed by a set of former presidents, issued in 1947, and finally a stamp, very much like its Chilean cousin, marking the 400th birth anniversary of Cervantes, also issued in 1947. In fact, the same die of Cervantes’ portrait was used, but the area around the face was ‘polished’ a bit to create a lighter impression, which made the portrait stand out a bit better. 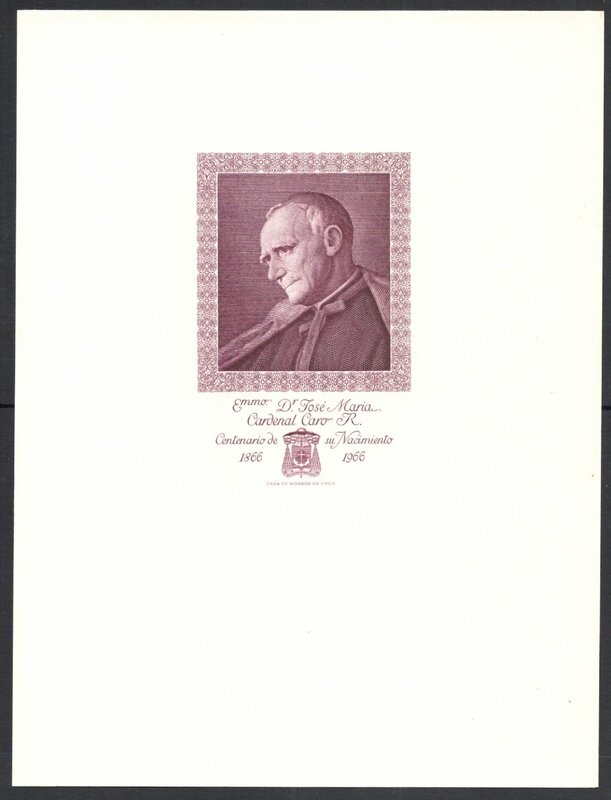 The official decree announcing the issue of the Costa Rica stamps, written by Alvaro Bonilla Lara, included black prints of the two stamps. 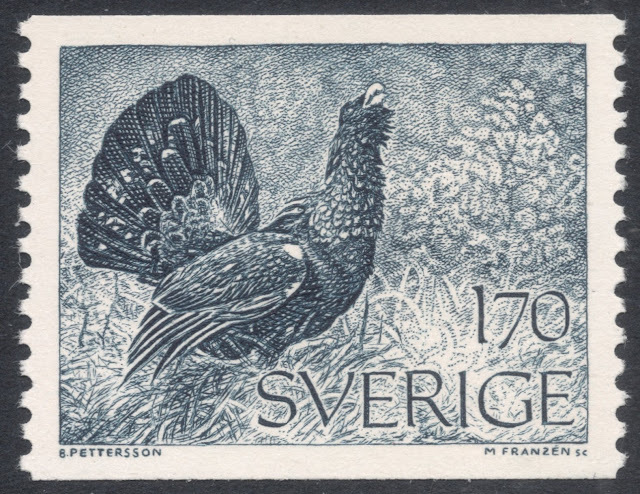 José Moreno Benavente worked himself up from engraver to chief engraver in 1953. 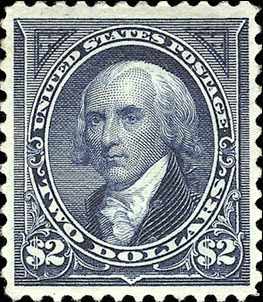 He later became Head of the sub-department of engraving and design. Moreno retired on 16 June 1975, at which time he had worked himself up to a position on the Technical Advisory Board. “José Moreno Benavente had a sullen appearance and it was not easy to become intimate with him. But those who had the honour to share his table every day for many years often saw glimpses of agility and spontaneity so characteristic of his Spanish roots. In discussion he would often be sharpwitted and even ironic, with a hint of morality added. Combined with his great cultural background he was a pleasure to listen to. To them it was also clear that his apparent solitude also was merely a first impression. José Moreno Benavente’s conversation was usually littered with names of writers, musicians, poets, sculptors, architects, journalists, businessmen, bankers and philatelists he had met and built up lasting friendships with. You will find José Moreno benavente's database HERE.